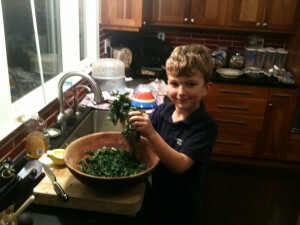 Strip the kale leaves from their stems, wash them, and then slice them into ribbons. Dump them into a large salad bowl. 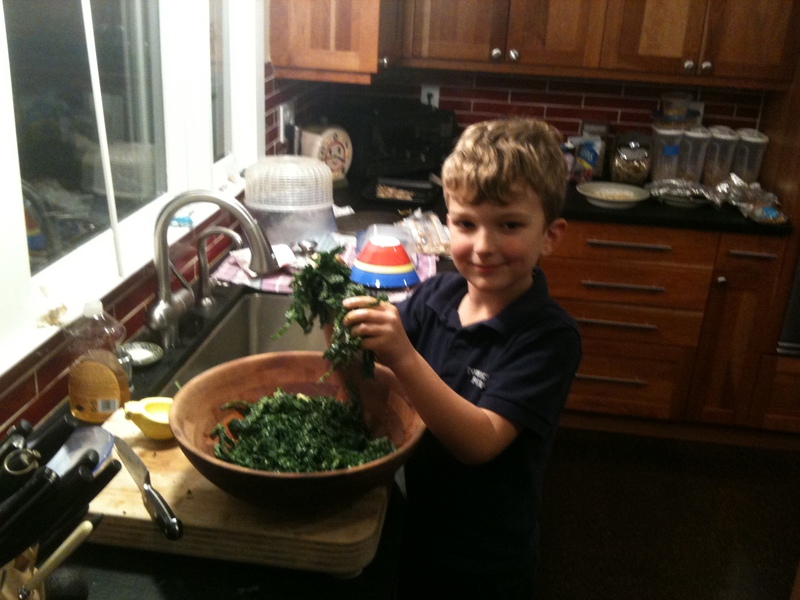 Slice one avocado onto the kale and mash it into the leaves with your hands. There is no kitchen implement that can do this for you, just dig in with your bare hands or enlist a willing helper to massage the kale leaves until they are all nicely coated with avocado. Juice the lemon over the leaves, and then add the other avocado, chopped into chunks. Drizzle with olive oil, sprinkle with almonds, season with a bit of salt and pepper, and serve.